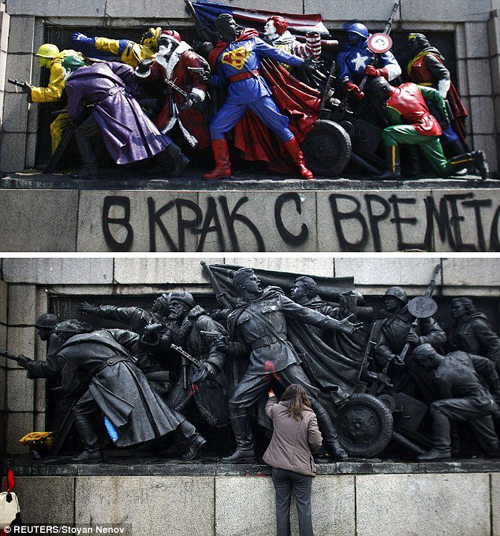 Vandalised Pimped Soviet Army monument in Sofia, Bulgaria. Read the article “Is it a bird? Is it a plane? 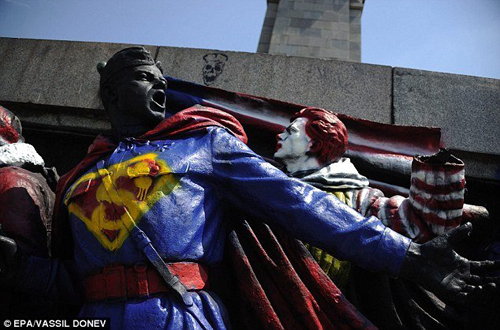 No, it’s Superman and friends… painted on Soviet war statue by the Banksy of Bulgaria“HERE.